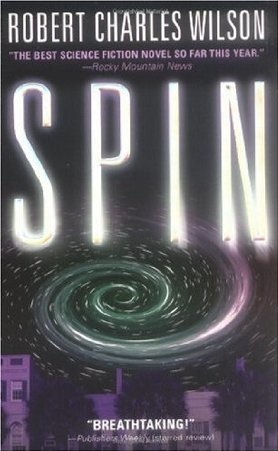 Spin, the first book in an eponymous trilogy by Robert Charles Wilson, was published in 2005 and won the Hugo award for best novel shortly thereafter. The second book in the series, Axis, came out in 2007 and the final book, Vortex, is scheduled to be released in May of this year. My understanding is that this is a very good thing as I’ve read that Axis suffers from a strong case of middle book syndrome and Spin, despite some flaws, is strong enough that I am anxious to see where Wilson plans to take us with the rest of his story. Much like Axis, Tyler Dupree suffers from middle child syndrome. In Tyler’s case this is a bit odd since he is an only child; he and his widowed mother live in what is effectively the servants’ quarters across the lawn from the Big House owned by E.D. Lawton, aerospace magnate and anthropomorphic personification of the military-industrial complex. Lawton’s two children Jason and Diane are the ones that have boxed Tyler in throughout his life, always encouraged to show the genius and drive that Tyler lacks. They and the rest of this extended family–Tyler’s staid mother and Lawton’s occasionally-sober wife–are simply living out their lives with the other seven billion people on the planet when something truly odd happens: the stars disappear. Despite some initial panic, life goes on and humanity tries desperately to understand what has happened to block off the Earth from everything beyond low orbit, an effect that is eventually named the Spin. It is clear that there are some fairly benevolent rules to this new order: the sun, or at least a something that kind of looks like it, still rises every morning to keep the biosphere running, and something is preventing rogue asteroids from causing another K-T event. Other effects are not so nice: time inside the field passes at a hugely accelerated rate, moving so quickly that cosmological events outside the Spin take place over the course of a single human lifespan. The timescales involved transform the Sun from a source of heat and life to a ticking timebomb that puts a definite expiration date on how long humanity can stay on Earth. From the perspective of those inside the field, Earth will be out of the solar system’s habitable zone within a generation, and humanity will be wiped from the universe. Lawton’s aerospace business puts him and his family in a unique position to watch all of this unfold. His son Jason, whom E.D. has been grooming to be his heir more or less since birth, applies himself to noble causes like saving the world. Diane, on the other hand, gets too close a view of the looming disaster and, well, reacts badly. Tyler is left somewhere in between, charged by E.D. with supporting Jason as he fulfills his potential but hamstrung as he watches his not-entirely-secret love Diane self-destruct, powerless to help. Through it all, the big questions remain: can such a bizarre phenomenon be natural, and if it isn’t natural, who is controlling it? I have to start out by saying that I think Spin is a very good book. The reason I have to start that way is that there are several things about it that bothered me quite a bit, and I don’t want that point to get lost amongst my complaints. I believe it may be a case of a story that is just on the edge of excellence, but has enough of what I consider to be technical flaws that those flaws become obvious and disproportionally distract from what is potentially an interesting tale. Even though I think it is very good, I probably see it as a bit worse than it actually is because I feel like there was a lot of missed potential. 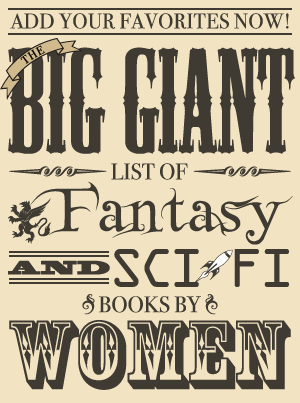 Obviously others may see it a bit differently; it did win the Hugo, after all. Even though I know it is a common technique, and I do in fact like it in some other stories, I don’t feel like the structure of Spin‘s storytelling works well for the story being told. Most of the book is told in flashbacks, with occasional stops in the present day. I can understand the motivation for Wilson setting up the book in this way since it covers thirty or forty years and the flashback structure makes it easy to pull out scenes and skip large chunks of time, but it would work better if the story being told in the present was more pertinent. As is it feels extraneous, told in far more detail than the far more important events that took place in the past, and takes away from the overall impact of the book. Similarly, parts of the relationship between the three main characters also feel like they have been bolted on to the main plot. At the risk of sounding like Mr. Spearhead, quite a bit of the personal drama in Spin simply wasn’t necessary. Don’t get me wrong, I have no problem with these sorts of character studies when they are done well and are supportive of the main plot, but that just isn’t the case here. It feels like Diane was created just to give a counterweight to Jason, and Tyler’s relationship with both of them is strained just to provide Wilson a mechanism to pull out whichever of those two opposing viewpoints is most useful at any given moment. Between that and the flashback structure there is little feeling of gravity or true jeopardy in any of the characters’ relationships. Additionally, there is a sort of ongoing mystery surrounding the three parents in the story which Wilson drops hints about throughout the book; without giving it away, I’ll just say that the ultimate reveal is clearly intended to be a big “a-ha!” moment but instead falls flat in both content and delivery. Police helicopters peppered the crowd with tanglefoot gel until much of Gamla Stan looked like something a tubercular Godzilla might have coughed up. Interesting phrasing, but, um, really? When I wasn’t being annoyed by these sorts of technical issues though, I did find Spin to be a compelling mystery with an exploration of interesting and non-obvious solutions to the problems of life inside the Spin. I was left with the impression of a realistic, human response to events that were firmly in the “indistinguishable from magic” category. The scientific handwaving was mostly kept to the Spin itself though, as Jason’s efforts to defeat it were logical and creative extensions to existing technologies and theories. The mystery and slow reveal are the strength of the book; I can only imagine how great it would be if the personal aspects explored how each development changed the individuals involved. It may not be fair, but I can’t help but compare it to Beggars in Spain–one of my favorite books and an excellent example of that kind of integrated storytelling. The attempt and ultimate failure to bring those elements together is probably worse than not even making the attempt would have been, but the result is still interesting enough to be worth not only reading this book but also picking up the rest of the trilogy. Even though I think Spin stands well enough on its own that I don’t feel its necessary to get the rest of the trilogy to complete the story, Spin‘s flaws are not so great that they overcome its potential and I am eager to find out where the story goes next. Where I got my reading copy: Bought it as the first eBook to try out the new Kindle I got for Christmas (thanks, Kristen! ).